I'll be keeping this up for awhile. The pic will stay for a long time. the sig will stay forever. got chills when i read this, so sad. 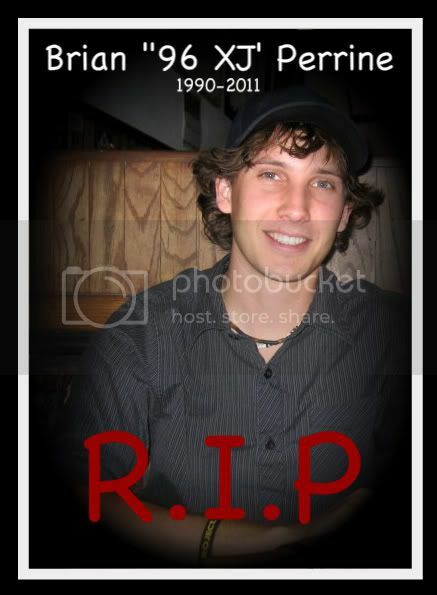 i didnt personally know him, but the few times i talked to him he was such a nice guy. must have been alot going through his head, he will definatly never be forgotten on this forum. i uploaded it so all you have to do is right click and copy image url then head to user cp and paste. I hope it makes it easier for the computer illiterate among us. RIP Brian. You brought a lot of knowledge and excitement to us. You will be missed. I only knew him as 96_xj and as the avatar of a biker. For some reason his posts always motivated me to do something or at least gave me ideas. We all should start a fund and send it to his family with all our names and addresses so they know how many lives he has touched and how far around the globe his friends are, we can all spare $5.00 right?